When most people think of medical malpractice, they think of surgeons botching procedures or of doctors who misdiagnose cancer or another serious medical condition and fail to provide adequate care. These are all serious examples of medical negligence which can cause life-threatening and potentially fatal outcomes. However, MDs are not the only care provides who could make dangerous choices that harm patients. Dentists are also healthcare providers who are held to a professional standard of care and who can be held accountable if something they do causes harm to their patients. There are many different examples of dental negligence which could give patients the right to pursue a damage claim with the help of an Atlanta medical malpractice lawyer. However, one common type of complaint which arises occurs when dentists make bad choices regarding performing procedures on patients who take anticoagulant medication. Anticoagulant medications like warfarin are prescribed to patients who have a high risk of blood clots or stroke, who have a heart condition, or who have various other medical conditions which necessitate taking blood thinning medication. Anticoagulants affect the normal blood clotting process- which can sometimes be dangerous when a patient undergoes dental care since a lot of different kinds of dental care cause bleeding. Traditionally, dentists who performed procedures on patients who took anticoagulant medications would generally advise patients to stop their medications before procedures in virtually all cases. Many medical malpractice claims against dentists arose when the dentist failed to ask patients about their medications and/or failed to tell patients about the risks of procedures while on anticoagulant medication. Dentists were held responsible for complications of uncontrolled bleeding that patients on blood thinners experienced. The problem is, going off of anticoagulant medications also has some significant risks. If a dentist does not alert the patient of the potential complications, this could be a form of medical malpractice as well. Dentists who advise patients to stop blood thinners temporarily need to ensure they are warning patients of risks, as well as working very closely with the patient's doctor to determine what the best and healthiest option is. The American Dental Association (ADA) also advises dentists not to take patients off anticoagulants in many cases but instead to control for the bleeding during procedures. Patients should be advised to stop taking blood thinners only in specific limited high-risk situations. If a dentist fails to provide warning, is unreasonably careless in the advice to stop blood thinners, or fails to control for bleeding, the dentist could potentially be held accountable when problems arise. Whether the dentist is responsible for complications or not is going to vary depending upon what a reasonably professional dentist with the same background would have done under the circumstance. 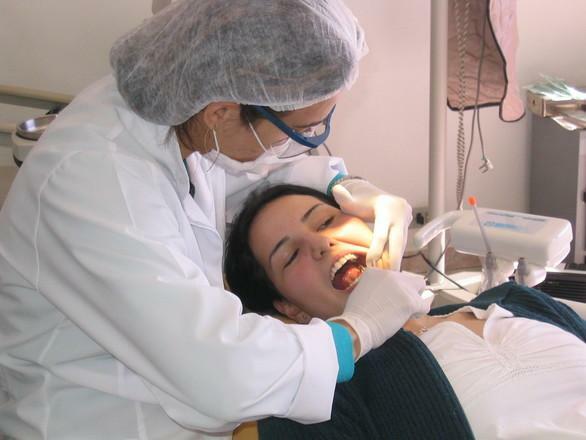 An Atlanta medical malpractice lawyer can provide assistance in determining if a dentist failed to fulfill his obligations to provide appropriate care and can thus be held liable for losses.